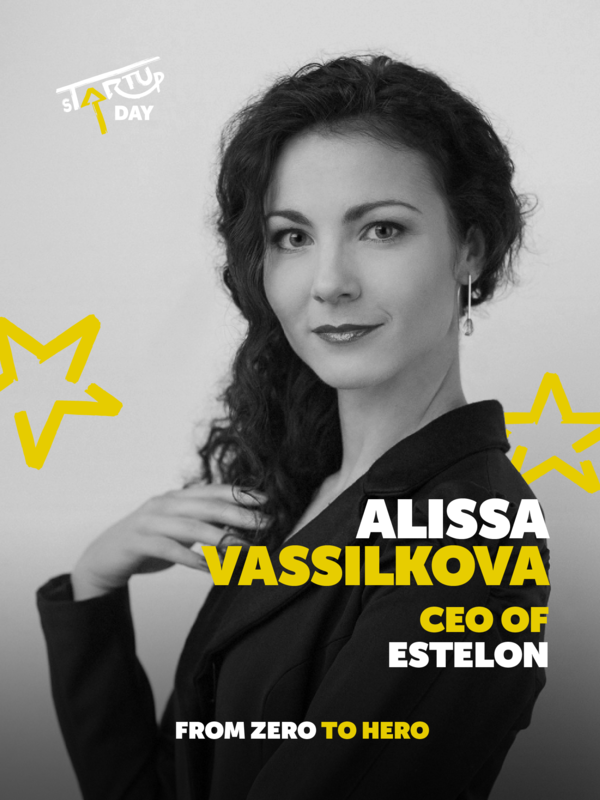 Alissa Vassilkova is the CEO and the Co-Founder of Estelon, which is one of the world’s most luxurious speaker brands. Recently she was named as a nominee for the Young Entrepreneur contest held by Swedbank and The Estonian Chamber of Commerce. Estelon is a family business and its products are high-end speakers which aim to bring authentic concert experience to people’s homes. The speakers are of the highest quality, made in Estonia by experts and comparable to making world’s top-quality musical instruments. Today Estelon is represented in 29 countries all over the world. How did you start with Estelon? Was it rather easy or difficult? What were the main obstacles? Years ago, my father and I started pursuing a dream of creating the worlds best speakers. We explored options of how to do something like this the way we wanted to. A lot of people thought that the way we wanted to create it wouldn’t be possible, but we didn’t give up. Our father Alfred, who is the head designer of Estelon, had a concrete vision. We had seen what he is capable of, so we didn’t have any doubts about it for a minute. One day, it seemed that all the questions had been answered and at the breakfast table our family decided to do it. The decision was made quickly, and we started working. I would say the beginning was easy because we didn’t know what was waiting for us. The real work begins if you get in the game. You have to have a goal. If you work towards a goal every single day, getting one step closer motivates you. What has helped you to get to where you are now? Definitely the wish to do something special helps. In today’s audio technology market Estelon is very unique and the wish to do something best in the world is a really thriving force. In my case, the fact that it’s a family business carries a very important role as well. I can help my father’s ideas come to life and introduce these to the world. This is a very proud feeling. And of course, you do need a lot of willpower to move on during hard times and to reach your goals. How to remain motivated and be happy while doing your job? You have to have a goal. If you work towards a goal every single day, getting one step closer motivates you. Your team helps you to achieve these goals. As time goes on, the more I see how important is to gather these people around you with whom you enjoy working together. Today, our team consists of people who I think of like a family. I trust them, and I respect them. And I know that they are very good at what they do. So, I go to work every day feeling like I am meeting up with my friends. Every day we brainstorm ideas on how to make something interesting and important happen. If something goes well, it’s like a gift for all of the hard work you did. What kind of environment is motivating and inspirational for you? How much does the external environment affect your productivity? One of the most important aspects for me is people. Also, it’s very important for me to actually see our product, including the R&D process. So, we have our manufacturing and office together. Working together enables us to have the best knowledge about nuances of our company and to appreciate each other’s contributions. Also, if we know our company thoroughly, it makes it very easy to communicate with partners and clients. Since my job demands a lot of time to think, I also seek an environment different from the office for doing this. I often go to the forest to think about important subjects, I just wander around there and weigh different options. Hindsight I’ve noticed that some of my most important decisions have been made this way. You just have to believe in yourself and try. If you don’t do it, you will never find out if something is possible or not. Otherwise, you can forever be stuck in dreams and plans. Of course, I often need my office environment as well. Some parts of my work, for example involving numbers or contracts, require a lot of concentration and for this, I usually close the door and isolate myself for a few hours. If the job requires a lot of concentration, music also helps. It helps me to tune myself out from other sounds and makes my thought process faster. I have read a lot of Richard Branson’s books and I have to admit that his courage and willpower were the things that encouraged me to think big. „Screw it, Let’s do it“ is my motto, since I often think the same way – let's just do it. If it doesn’t work out, it doesn’t – at least we tried. A lot of things are a matter of courage. You just have to believe in yourself and try. If you don’t do it, you will never find out if something is possible or not. Otherwise, you can forever be stuck in dreams and plans. One of the biggest sources of inspiration for me is nature. Especially the silence and purity in it. I feel like my thoughts roam freely in nature and I can think about important things and make important decisions. Very important things in my life are doing sports or walking in the forest or just drinking my morning coffee by the sea. I want to see if we can create a brand as strong as we wish it to be today. This requires a lot of work, but I believe that we are moving in the right direction. Hero of the Week is a column focused on inspirational entrepreneurial people around us – their journeys, success stories and lessons learned from failures; goals, inspiration and everything in between. Get inspired and be the Hero of your own life!